If you’re tired of spending hours in the supermarket each week only to get home and spend many more hours cooking and cleaning, you’re probably considering if all these new meal delivery services are all they’re cracked up to be. With so many different choices, it can feel impossible to select the best company for your needs. Today, we’ll cover one of the most popular options, Hello Fresh, the benefits of using Hello Fresh, and our experience trying their meals. Hello Fresh is a popular meal service that delivers everything you need to prepare delicious, healthy meals at home in less time. Each week, you choose from a selection of fifteen different menu items, including past customer favorites from the Hello Fresh Hall of Fame. The following week, everything you’ll need to prepare the meals you’ve selected shows up at your door, pre-portioned and ready to go. 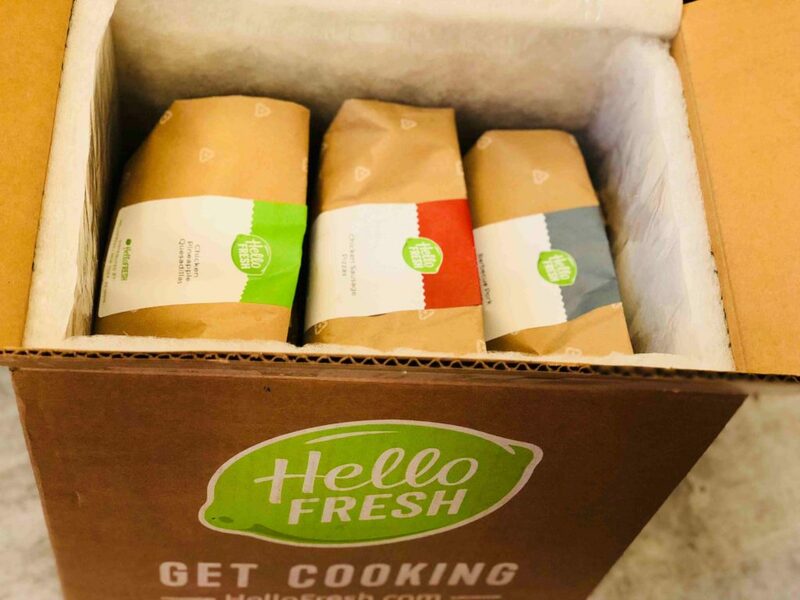 Hello Fresh is one of the original meal delivery services, so they’ve had plenty of time to refine the products and services they offer to provide their customers with the best value and the tastiest meals. For starters, the recipes you’ll be cooking are all delicious, and the chefs at Hello Fresh prepare, taste, and edit each dish over 200 times before it makes it to the Hello Fresh menu. Perhaps the greatest benefit is the time and stress you’ll save by opting for a meal plan from Hello Fresh. Gone are the days of multiple trips to the grocery store, waiting on long lines, and hoping for the best when you get home and finally get to cook. All that time you would’ve been spending at the store or cooking can now be spent doing things you enjoy instead. Not only does Hello Fresh save you time at the store and on meal prep, but the meals themselves come together quite quickly. On average, we spent about a half hour a night preparing each meal from start to finish. Hello Fresh also makes the process incredibly simple. If you need to make changes to your account, such as when your food is delivered and what your plan or menu selections are. You can even skip deliveries for the week, or multiple weeks, provided you do so five days before your scheduled delivery. Another benefit of this service is how flexible it is. Whether you’re down to eat anything, or you’re on a strict diet, Hello Fresh has a plan that can accommodate your needs. Even picky eaters will find plenty to like with Hello Fresh, especially since you can tell them your likes and dislikes and they’ll recommend meals specific to the things you’re into. Another great feature of Hello Fresh is their pricing. 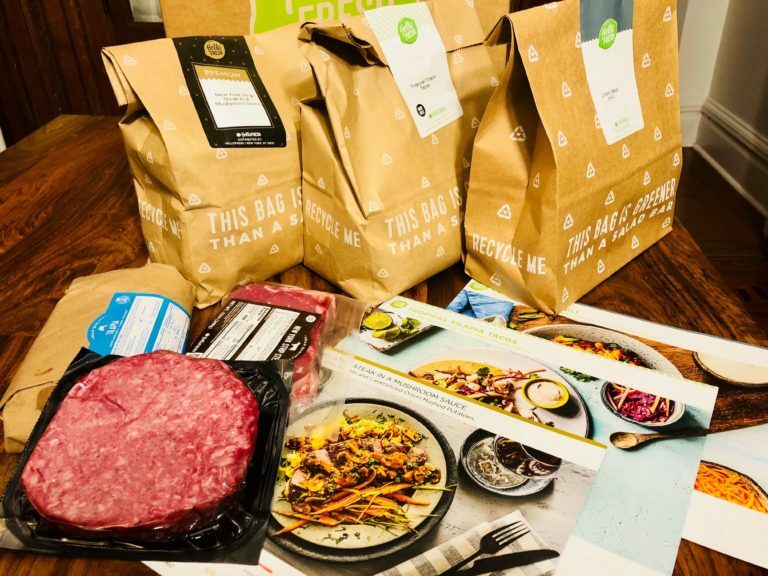 If you’re looking to try a meal kit service but aren’t looking to break the bank, Hello Fresh has you covered, as nearly all their menu items are between $7.49-8.99 per meal, which is cheaper than many competitors. Hello Fresh also has some unique offerings that other meal plans don’t. For one, there’s a premium option. Maybe you’ve got a special date night planned next week, or perhaps you just like the finer things in life. 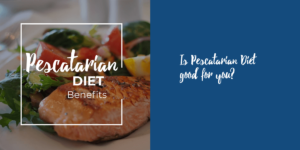 For a reasonable upcharge, you can upgrade your ingredients and recipes into territory usually reserved for top-tier restaurants. Hello Fresh even has a wine club, and they sell their own line of cookware, which makes it even easier for you to get the most out of dinner time. 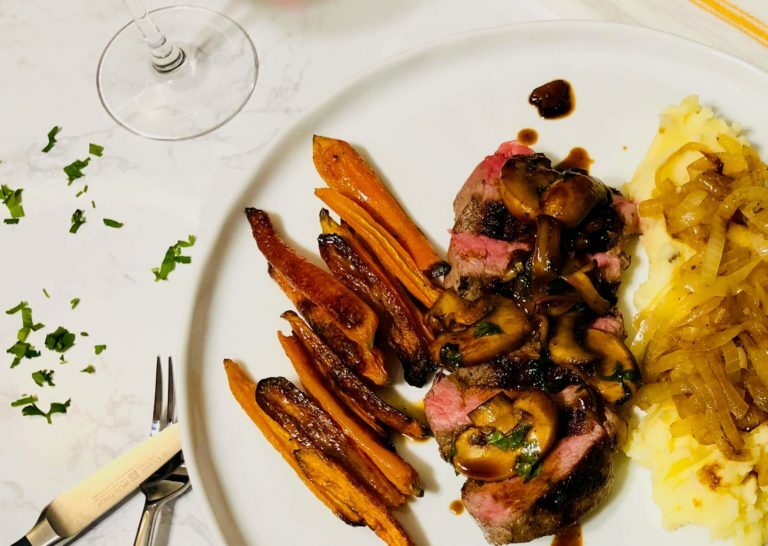 Needless to say, we had to give Hello Fresh a shot and see what all the hype was about, and we were pleasantly surprised by everything we tried. Each week, a box arrived that included everything we’d need to prepare that week’s meals. The box and all packaging materials are recyclable or biodegradable. Each ingredient is individually packed and pre-portioned, which makes it especially easy to lay out each recipe and get to work. Ingredients which must be refrigerated were packed on top of dry ice, and they were kept plenty cold on their way to us. It’s worth mentioning that you’ll need to double check the box after you empty all the ingredients since some of the smaller ingredient packs tend to find their way underneath the ice at the bottom of the box. 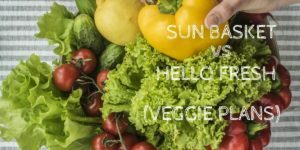 As for the meals themselves, many of the recipes we chose were familiar to us, and we were excited and hopeful that the Hello Fresh versions of these classics would delight our taste buds. They sure did. One standout we tried was the barbeque pork meatloaves. We were just as surprised eating it as you are reading it, but this was a seriously incredible meatloaf. Preparing the dish was as simple as mixing the ground pork with some special seasonings, brushing the tops in barbeque sauce, and sending them off to the oven. A few short minutes later, and my husband and I were both enjoying one of the tastiest and most flavorful meatloaf dishes ever. Another impressive dish we enjoyed was the beef bulgogi bowl from the Hello Fresh Hall of Fame. It’s easy to see why so many customers were enamored with this delicious and flavorful Korean-style dish. The dish offered one-part heat, one-part sweet, one-part savory, and all-parts delicious. This was a recipe we’d love to make again. Hello Fresh makes it easier than ever before to enjoy a tasty, home-cooked meal, without the hassles of shopping and prep work. 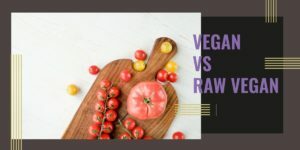 We were impressed with how seamlessly the service fit into our lifestyle, and we loved how easy it was to select recipes or make changes to our orders. Most importantly, the recipes we tried were all very tasty, easy to prepare, and came together in a half hour or less in most cases. If you’re looking for a simple and easy to use meal prep service that provides delicious food at an affordable price, Hello Fresh may be worth a shot.